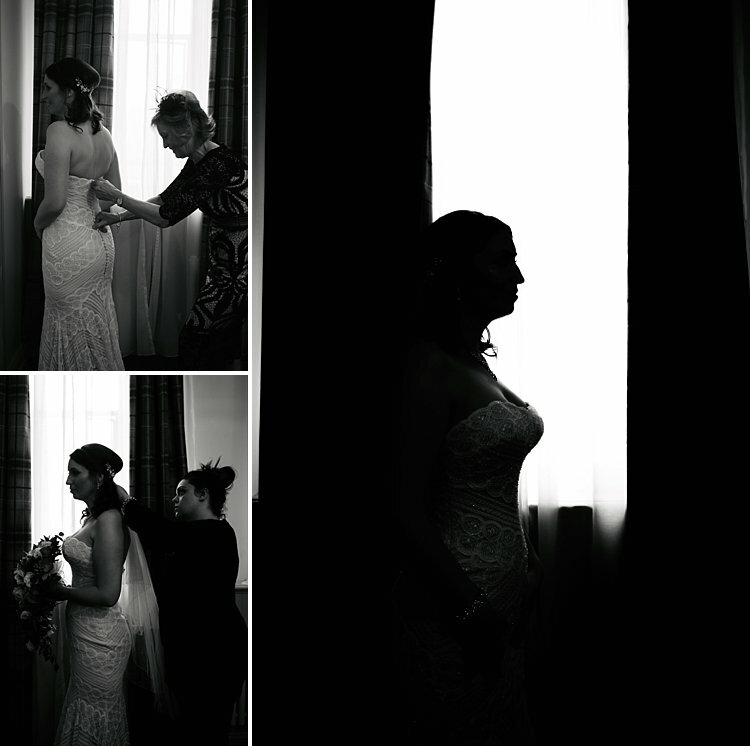 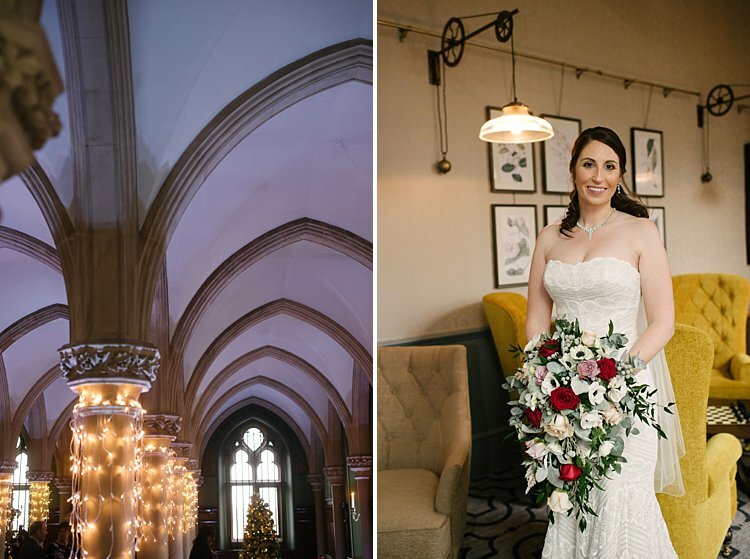 De Vere Wotton House in Dorking, part of the Principal Hotel Company chain of hotels, is one of the most romantic wedding venues I have ever photographed in. 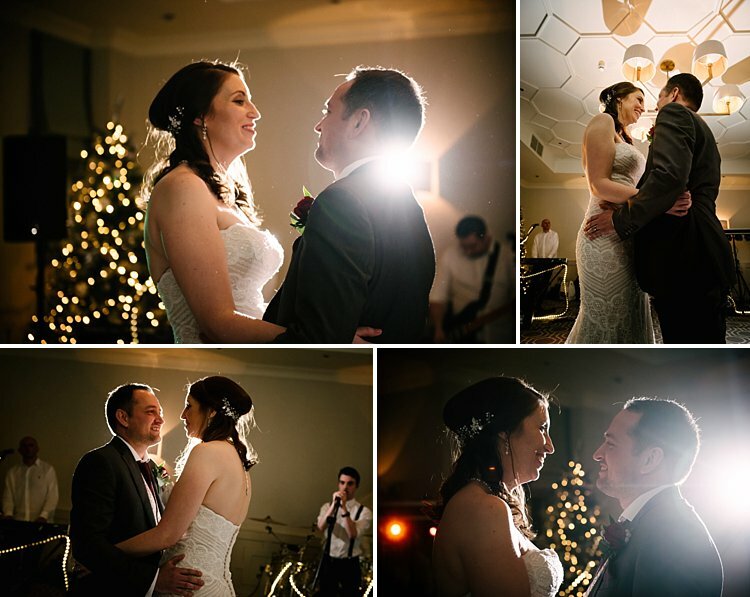 It was awarded The Best Country Venue by the UK Wedding Awards in 2016 and it’s easy to see why. 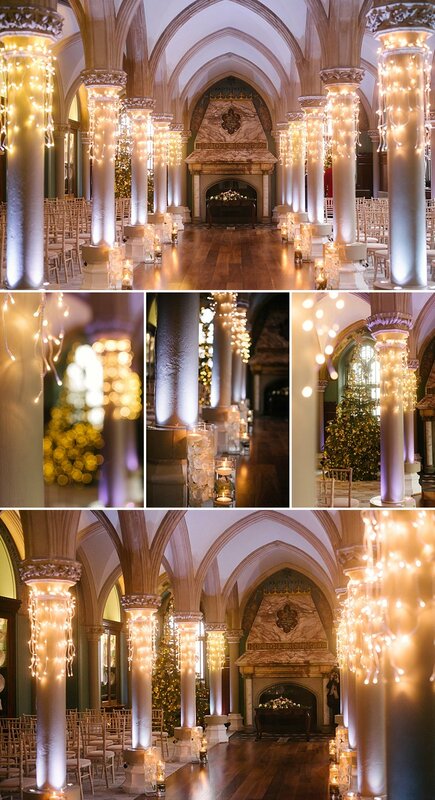 Not only that, Wotton House has made it to the regional finalist of the Wedding Industry awards 2017. 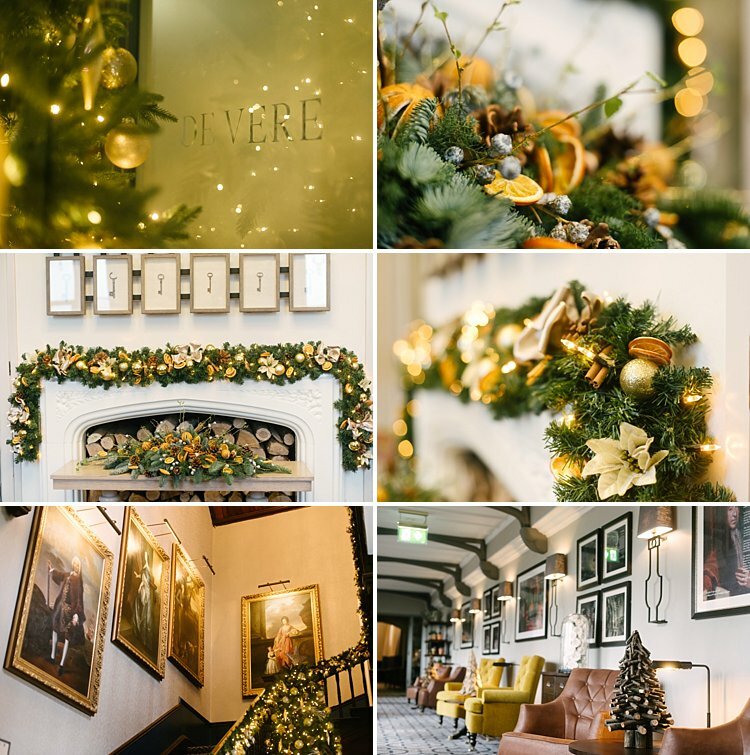 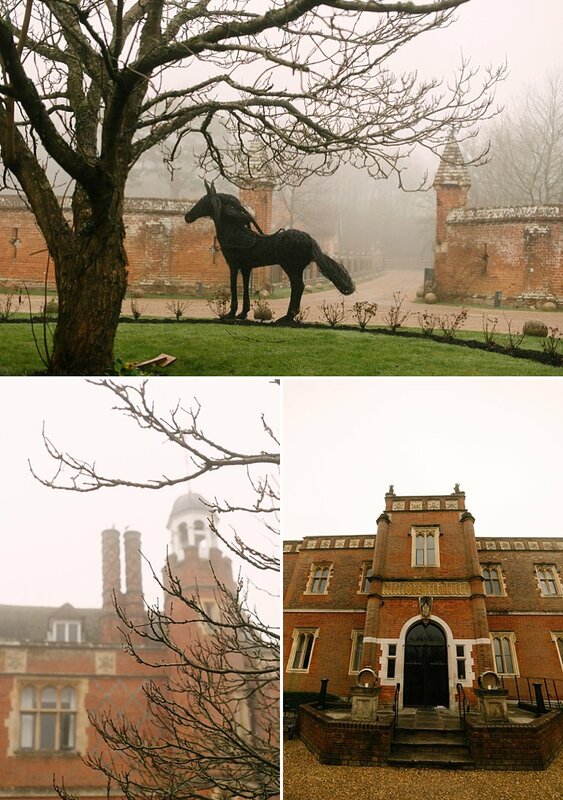 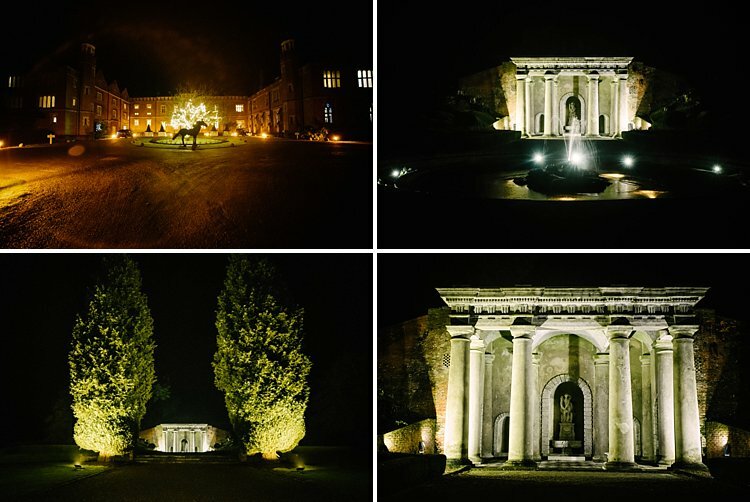 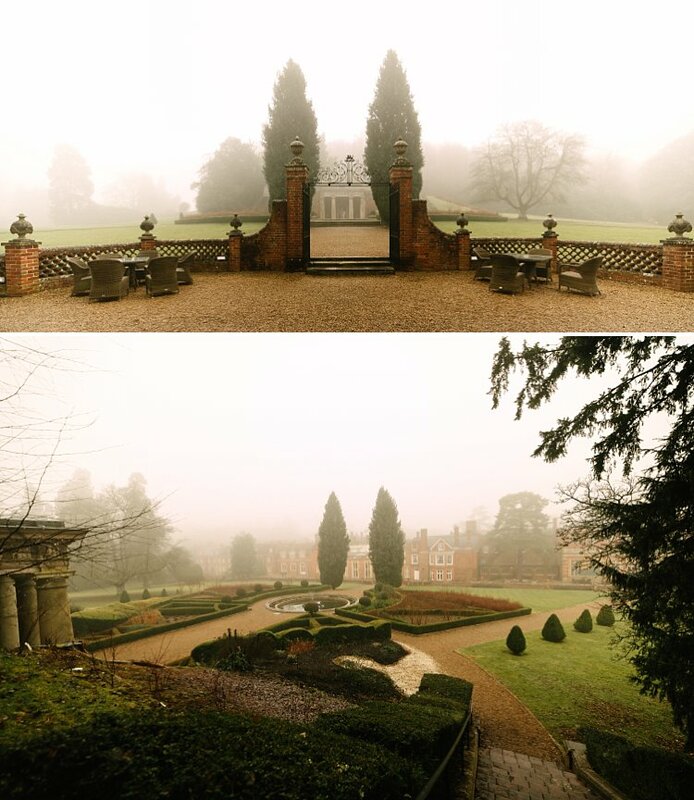 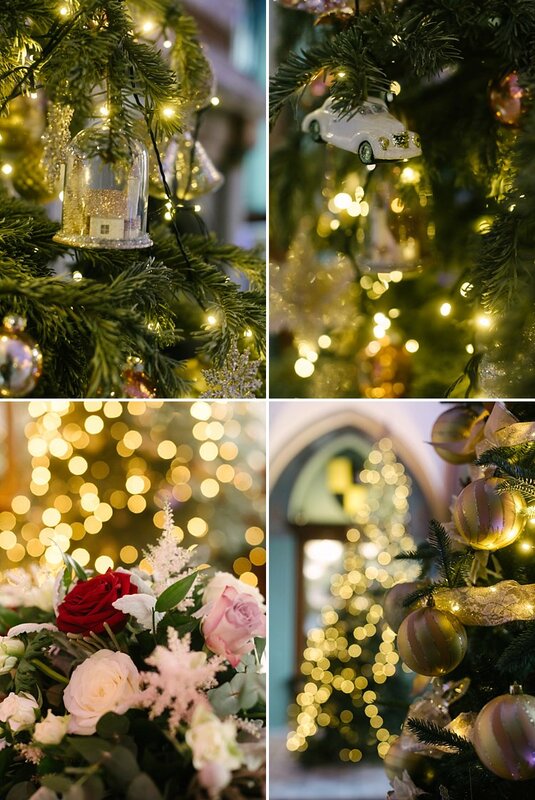 In the middle of winter, Wotton House sparkles all the more – fairy lights on gigantic Christmas trees and neo-classical columns, wonderful aroma of jasmine and pine and natural Christmas decorations, swanky bars, suites and dining areas so tastefully decorated yet with a homely touch. 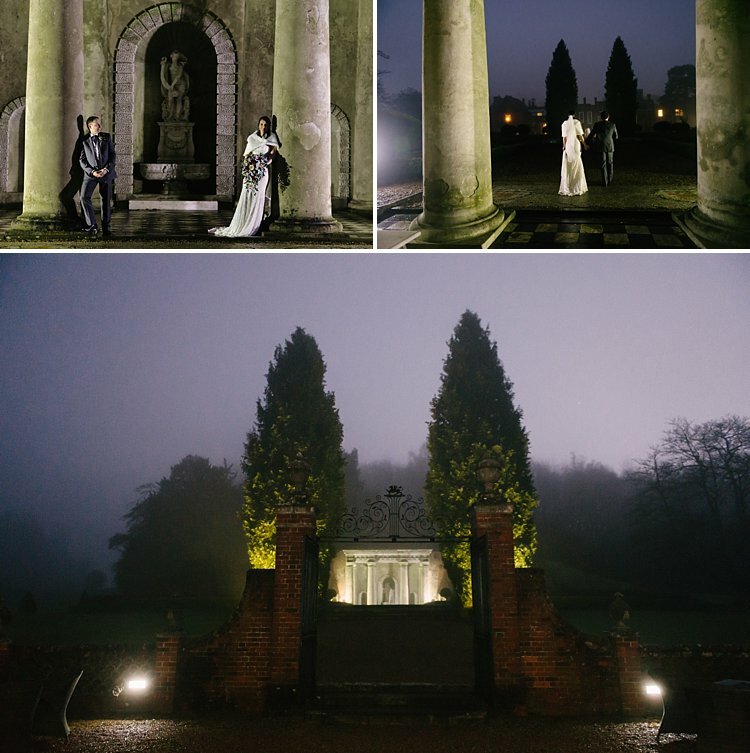 Warm and welcoming and perfect for a wedding. 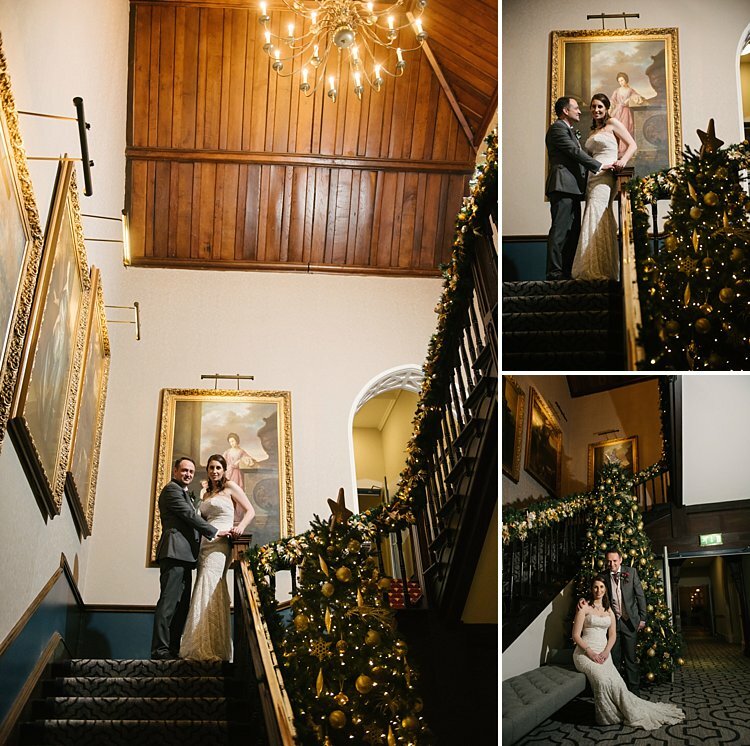 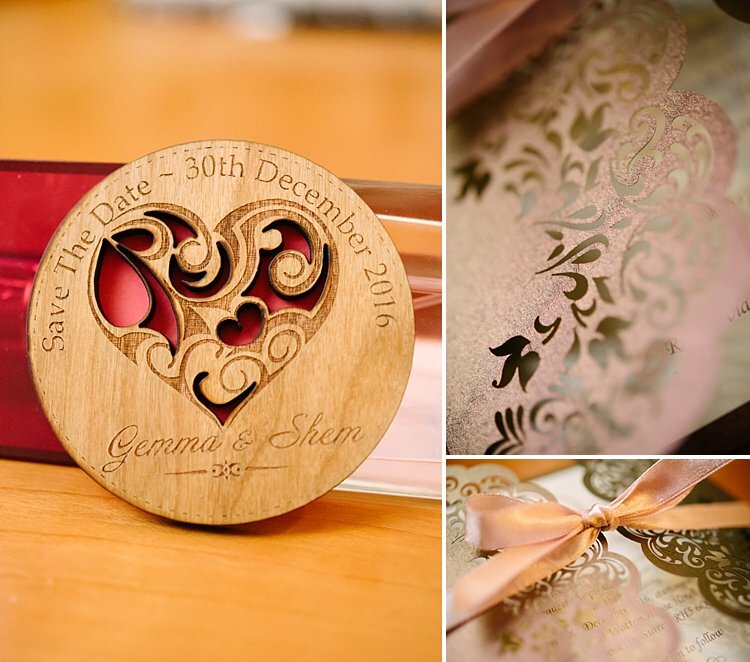 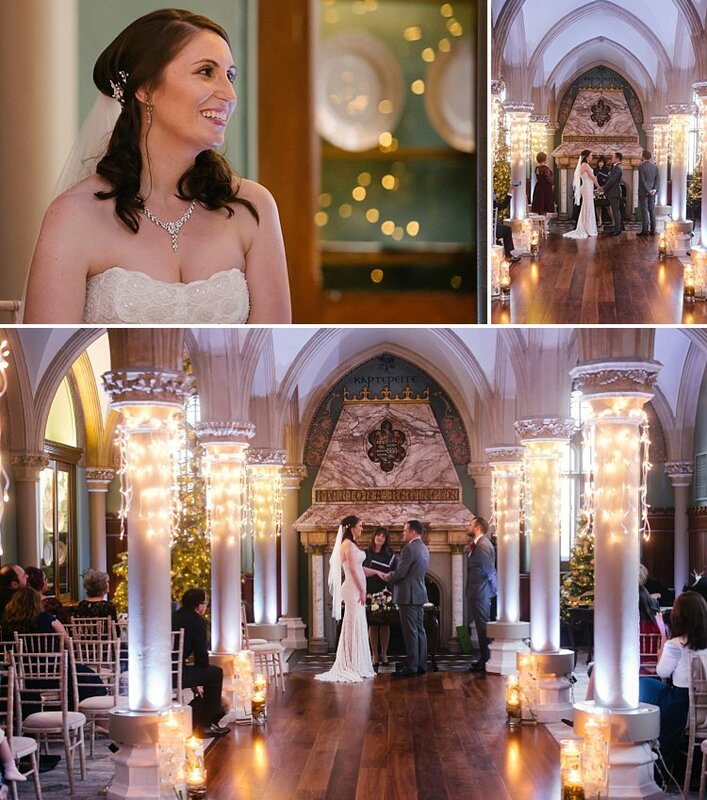 This was the place for Gemma and Shem who love the twinkly wintery vibes so much so that they decided to get married on the 30th December and had a Christmas theme running throughout their day. 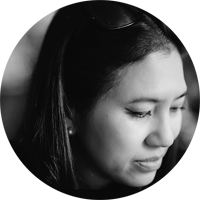 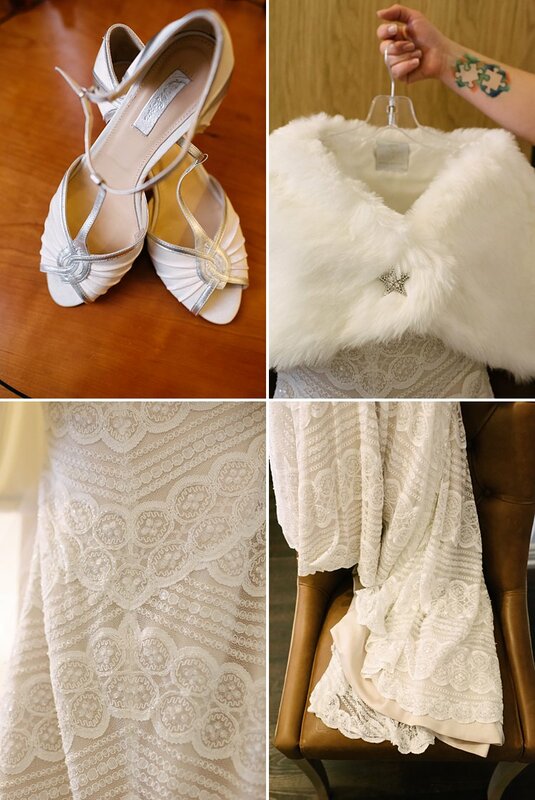 Gemma donned a beautiful lace embroidered beaded dress – Pippin, by Watters – and a snowy white faux fur shawl to keep warm. 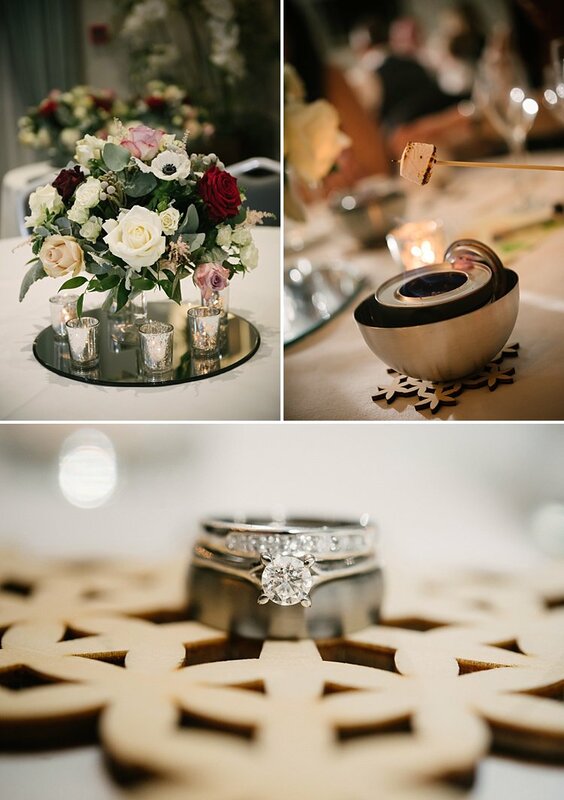 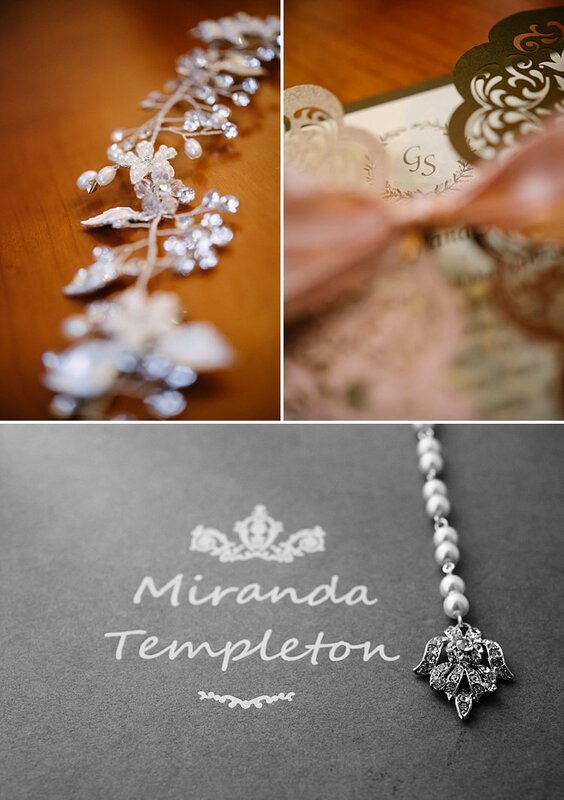 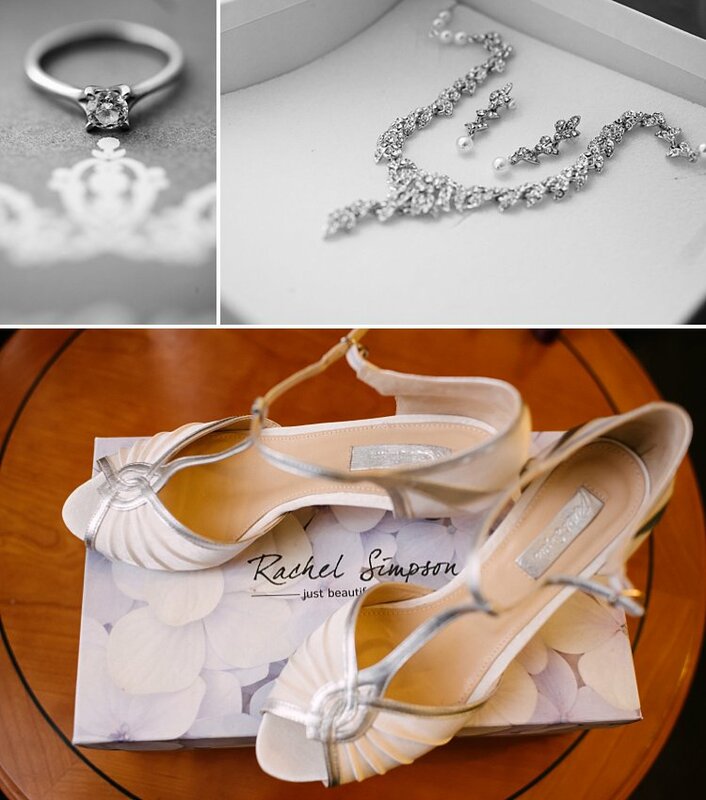 Sparkly was the word… all accessories were diamante studded silver, white gold and platinum. 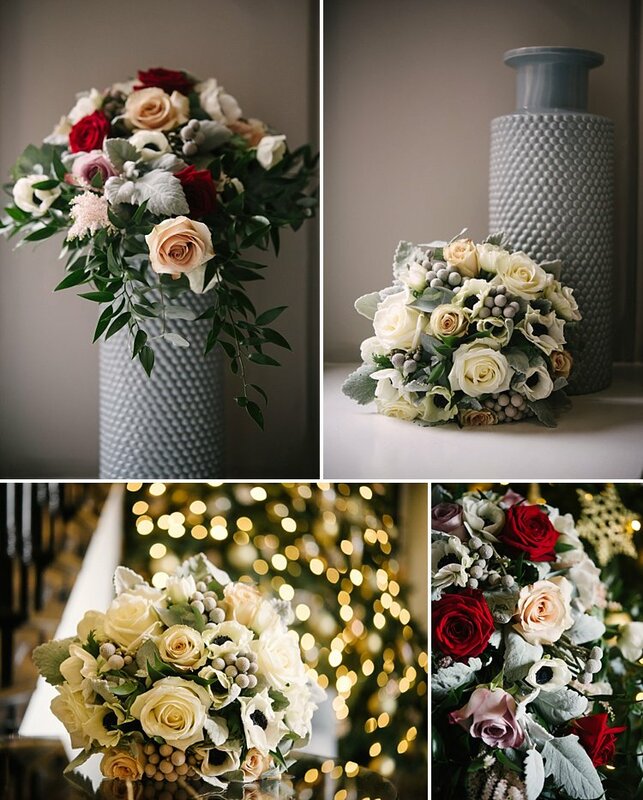 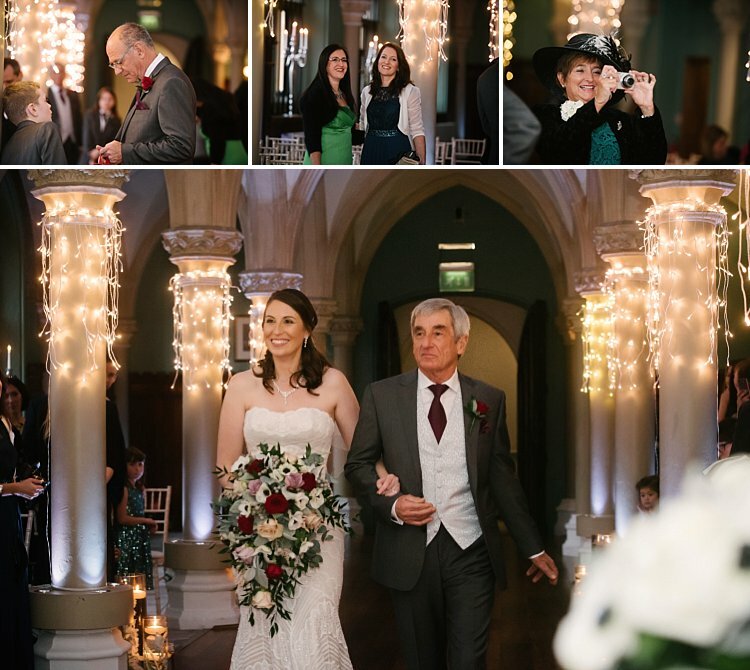 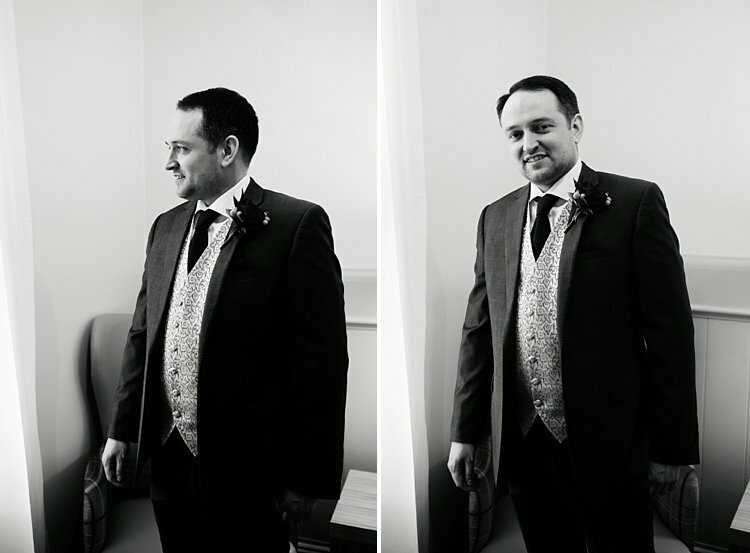 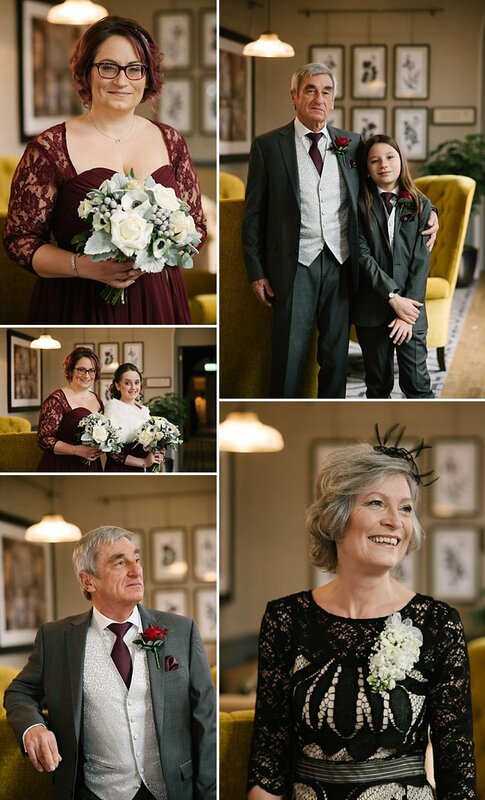 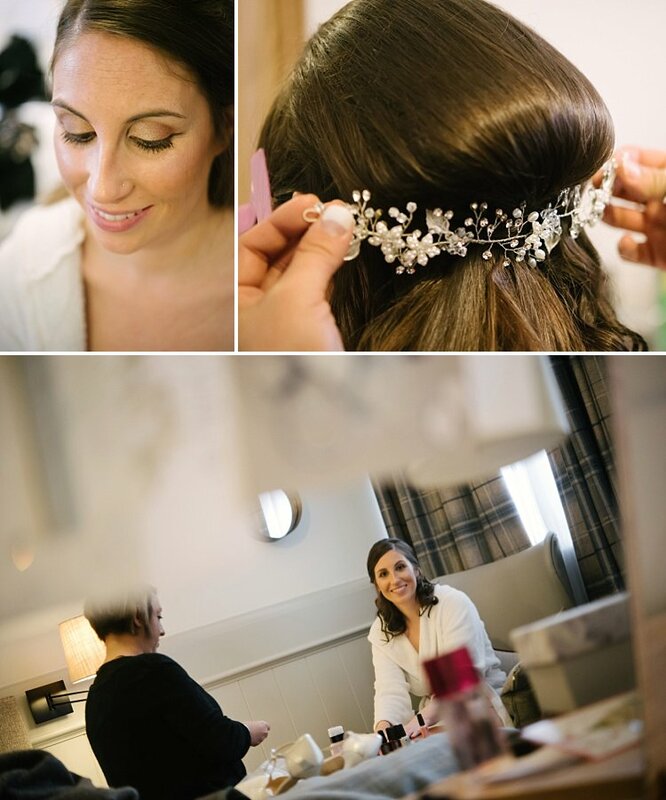 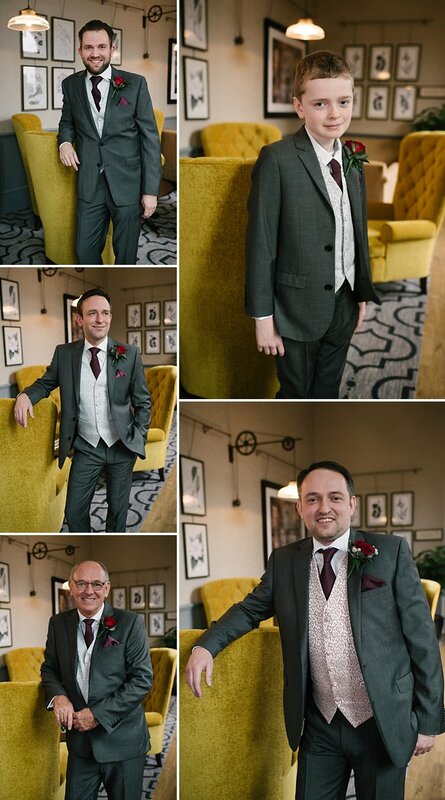 The flowers were gorgeous: Gemma had a mixture of Christmas reds and berries with plenty of silver greens and anemones in a cascading design while the bridesmaids had silver green and ivory generous bouquets with winter anemones and berries. 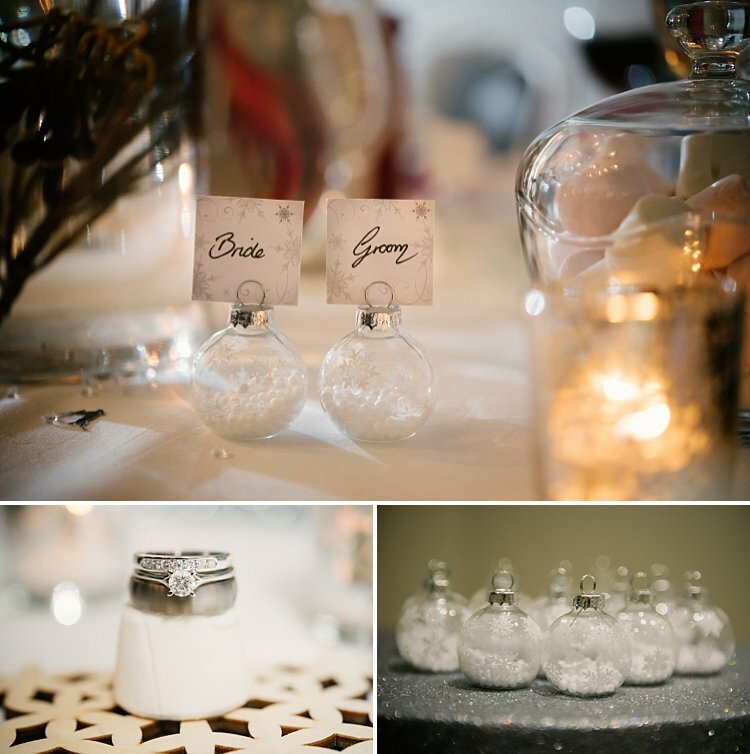 This snowy Christmas theme filtered through the table decorations. 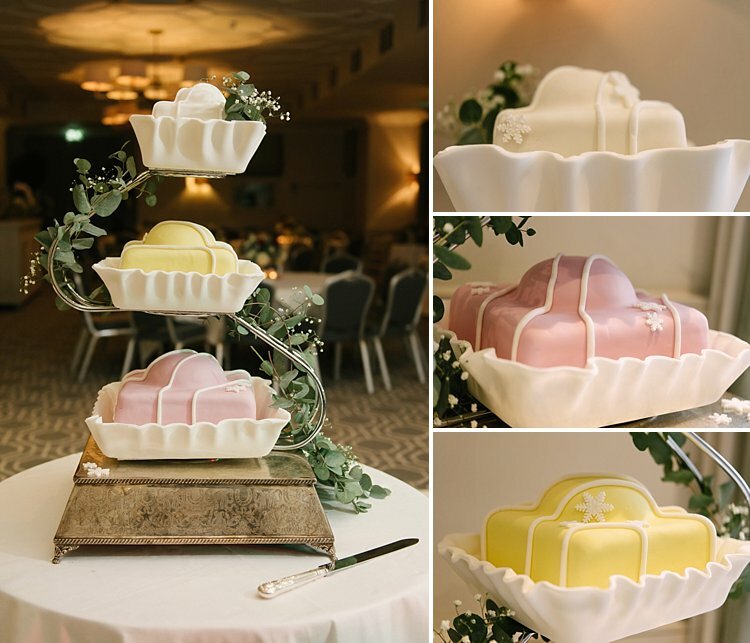 White snowy baubles as place holders, each table named after one of Santa’s reindeer, wooden snowflakes coasters on tables sprinkled with reindeer confetti, fluffy marshmallows with mini roasters, and of course the 3 tier giant French fancy cakes beautifully made by the groom’s very own talented sister Josie. 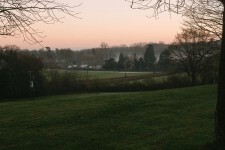 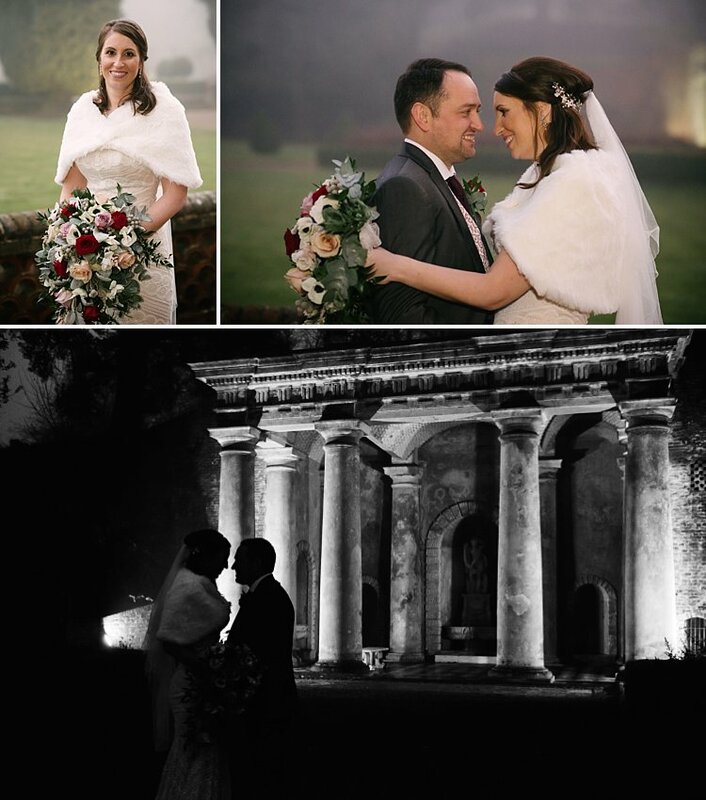 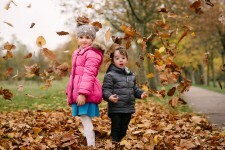 It was cold misty and the mist did not lift which made for some atmospheric outdoor portraits. 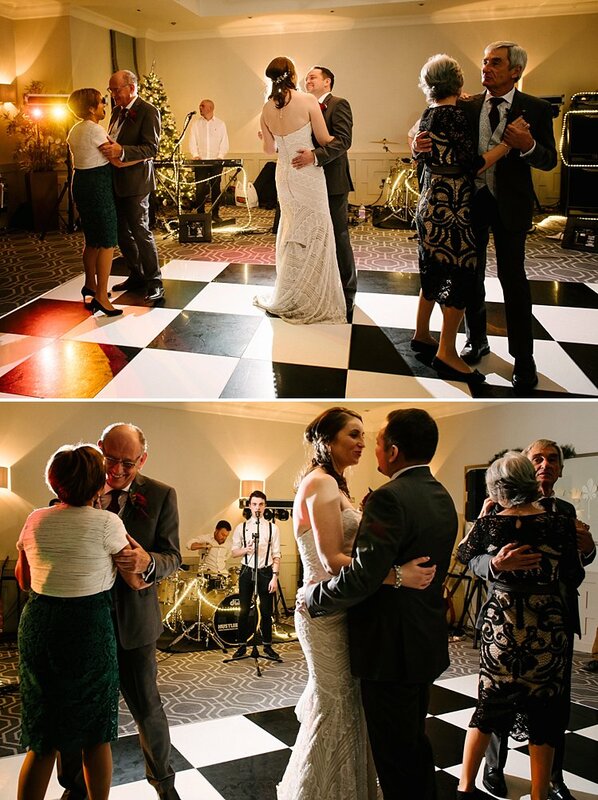 The party lasted well into the night, with some kids out-dancing the adults! 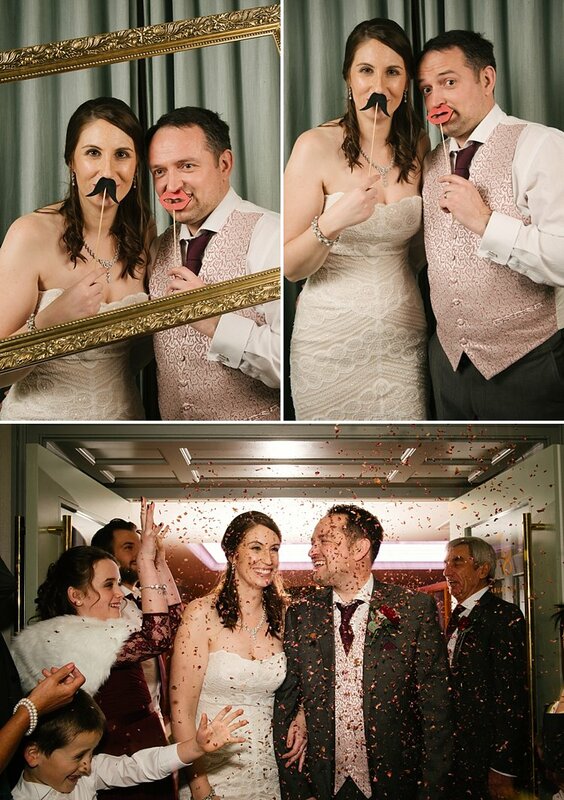 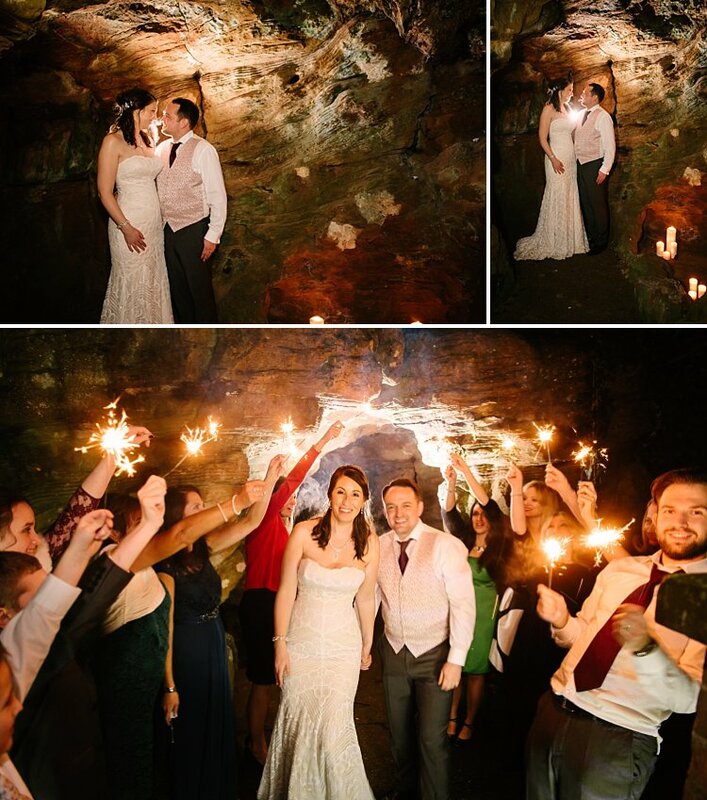 Gemma and Shem’s fabulous wedding day ended with a cave exit – a first! 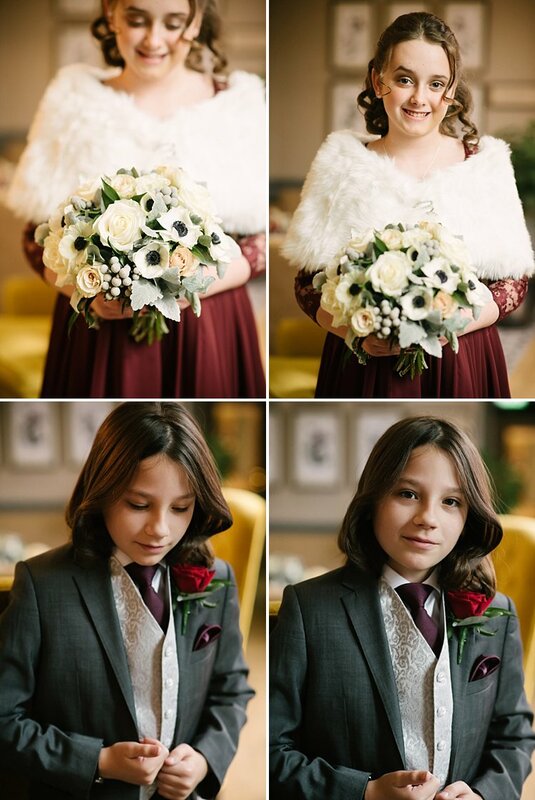 – and it was freezing inside. 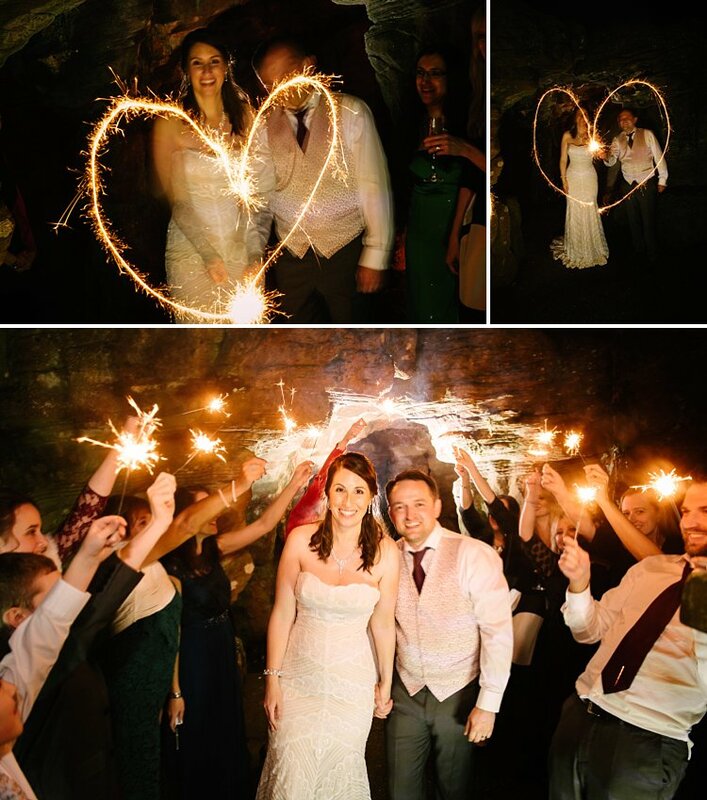 The cave was lit with candles and as the newlyweds emerged from it, their sparkler waving family cheered them on to say goodnight to such a memorable winter wedding day.